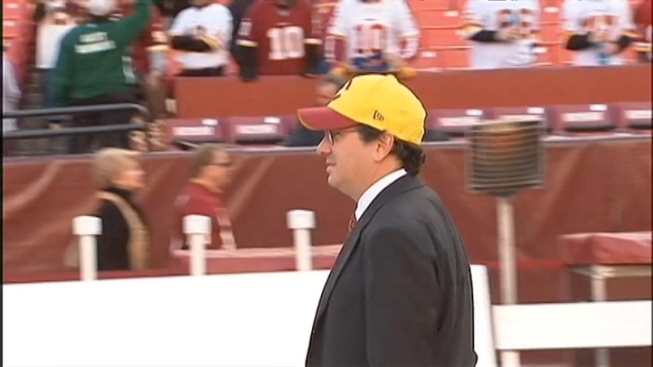 Flash Survey: Congress on the Redskins Name? Vote: Should Congress Be Involved in the Changing the Redskins' Name? Tuesday, we reported that 10 members of Congress recently wrote a letter to Redskins owner Dan Snyder, NFL commissioner Roger Goodell, FedEx president/CEO Frederick Smith and the other 31 NFL owners urging them all to consider adopting a new nickname for Washington's football team. Now, we want to know: What do you think about Congress stepping in to this issue? That's the question we're asking today, in our first News4/NBCWashington Flash Survey. And we want you to join in the voting.